Gifts vouchers are a very convenient solution for your customers. You can make an easy present to people for whom it is always hard to buy something. But selling gift vouchers is like giving money, so you need to be sure that each gift voucher is redeemed only one time. 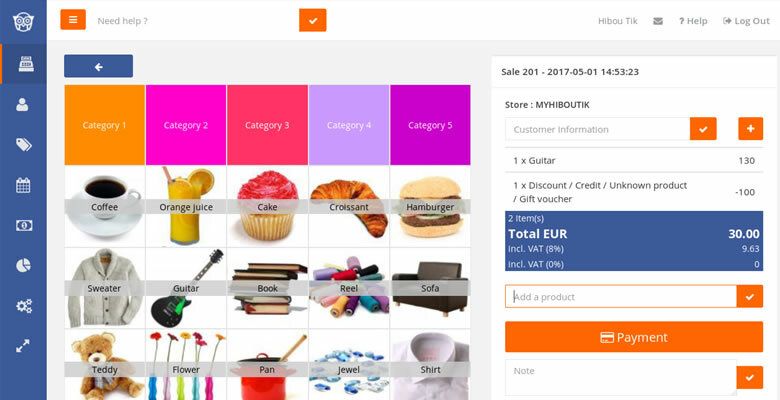 This article explains how managing gift vouchers in your free POS software Hiboutik. We consider a gift voucher as any other product at a selling price equal to the value of the gift card. We create as many gift vouchers as we need (ex: 25$, 50$, 100$ and 200$). A gift voucher is not taxable (sales tax = 0%) because it is a kind of payment type. The sales tax is charged when the customer redeems the gift card ‘s value. In a new sale, we add the gift voucher purchased. Then we close the sale with the payment method used by your customer. At this step, the value of the gift voucher is counted in your turnover. In you daily synthesis, all gift vouchers sold are under the 0% tax rate. According to your accountant advises, you can manage them as deferred income. Immediately we are going to proceed to an exchange on this sale (click on the Return/Exchange button). A gift credit equal to the gift voucher value is created. You can print it and stick its barcode on a nice gift card, you will give to your customer. If you don’t have a printer, you can rewrite the digits of the barcode on the gift card you will give to your customer. When the person who receives the gift card comes in your shop, you open a new sale. You add the products purchased to the new sale as you normally would. And then you scan the gift credit barcode (or you type the numbers under the barcode in the Add a product field of the sale). You can recover the gift credit barcode from the initial sale where the gift voucher was sold (click on the Return/Echange button). The gift credit is deducted from the sale amount. In accountability, only the balance of the sale is added to your turnover (because the amount of the gift voucher has been already registered when you sold it). Nevertheless the sales tax of the products sold are well registered and calculated from the selling prices of these products. If the balance of the sale is positive, the customer will pay the difference. If the balance of the sale is negative, it means that the gift voucher value is greater than the amount of the products purchased. – If you accept to refund the balance, you just need to select the payment type used to refund your customer and you close the sale. – Or as you accept a single use of your gift voucher, the customer must add new products to the sale, or you can add an unknown product ( at a value equal to the negative balance of the sale) to turn the amount of the sale at 0. This positive amount will be considered as income with your default tax rate. In this case, instead of using the gift credit directly in a sale, you add it to the store credit account of your customer. So, you customer can use it as many times as he wants to pay future purchases. Please read the following article explaining how to activate and manage store credit in your Hiboutik account. When the person who receives the gift card comes in your shop, you add him to your customers list. 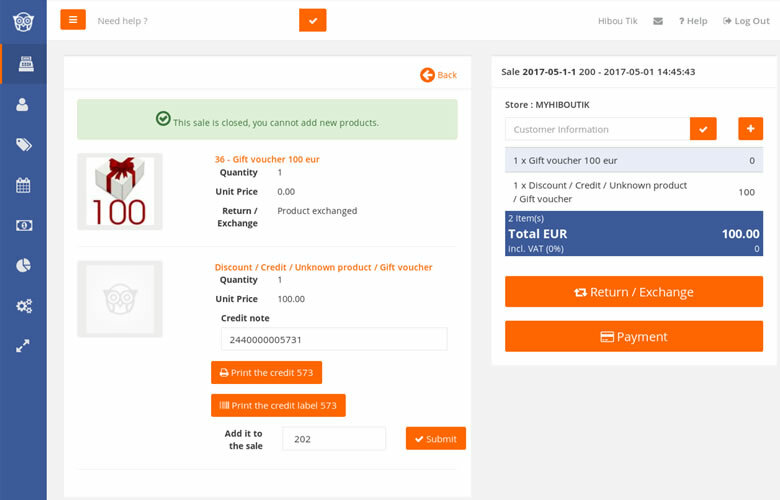 Then you create a new sale linked to your new customer, you scan the gift credit (equal to minus the gift voucher’s value) and you close the sale with CRED as payment method. Your customer’s store credit is now increased of the value of the gift voucher. Your customer can now use his store credit with the CRED payment method to pay his future purchases. 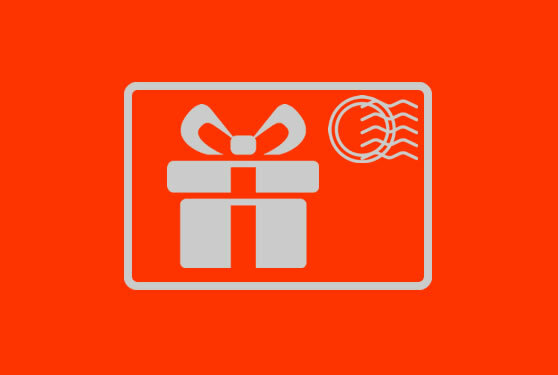 In Hiboutik, a single barcode is linked to each gift vouchers sold. So the gift voucher can be used only one time, to avoid any fraud. If you have a multi-shops account, a customer can purchase a gift voucher at one store redeemable at another store.